Whether you are a craft brewer, hobbyist or just like to enjoy keg beer from the comfort of your home. You may be interested in a new wireless keg monitoring system aptly named the Kegtron which was taken to Kickstarter this week to raise the required $7,000 needed to make the jump into production. The monitoring system comes complete with its own smartphone companion application allowing for remote monitoring and data logging. Watch the demonstration video below to learn more about the Kegtron wireless keg monitor. 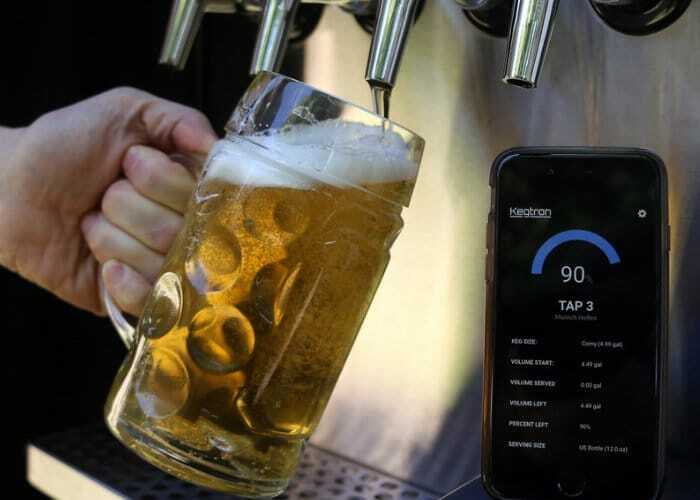 The Kegtron takes the form of a small box that sits inline between your keg and your tap and is equipped with an internal flowmeter to measure how much liquid has been dispensed while a wireless processor keeps a running tally and communicates with your smartphone or tablet. For more details and full specifications as well as a list of all available pledges jump over to the official Kickstarter campaign page by following the link below.